Simplify your life by keeping the number of company and getting in touch with us every time you are in need of LG appliance repair in White Rock, British Columbia. LG products are robust but will still need servicing. When the time comes, our company will be at your service. No matter which LG appliance is giving you troubles, it will be fixed in a timely and professional manner. Devoted to providing the best customer care, our company proudly works with certified pros that are trained to service any product of this brand. And so, when you need LG home appliance repair, installation, or routine service, simply get in touch with us. LG simplifies your lives by making cooking, washing, and all house chores easy. We make them easier by providing expert LG appliance repair pros to help with problems. When there is something wrong with one of your units, all you must do is dial our number. We take over and make problems disappear in zero time. Like all large brands, LG makes appliances with special features aligned with the latest technology. And so it’s important for you to rely on LG experts for all home appliance repairs. When you call Appliance Repair White Rock, we make services stress-free. Not only will a pro respond quickly to fix a problem but will be a specialist in LG repairs. Whether you need to fix kitchen appliances or washers & dryers, we are at your service. 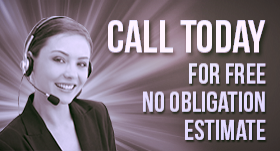 Call us and a pro will come out to take care of your needs. Need LG washer repair? Want to fix the dryer? A pro can take care of any LG laundry appliance. Want LG refrigerator repair? The pros can repair fridges of all kinds. As long as you need LG fridge techs, reach out to us for the service of any model. Call us for LG cooking appliance repair service or if you have troubles with the dishwasher. And don’t forget that an authorized LG tech will have the expertise to also install wall ovens, ranges, washers, and any appliance you buy from this brand. 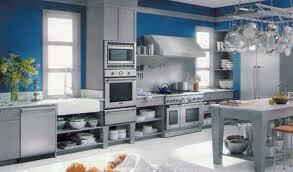 We are at your disposal for the maintenance of your appliances, same day repairs, and new installations. So give us a call and we’ll dispatch an expert LG appliance repair White Rock pro as soon as possible.